Although it’s always been relatively straightforward to transfer from Split Airport over the years (the airport transfer buses are certainly cheap, pretty quick and quite hassle-free), 2019 offers a new method of transport on this route. You’ll soon be able to transfer from Split Airport – or rather, the port close to it – to downtown Split by catamaran in only 20 minutes! 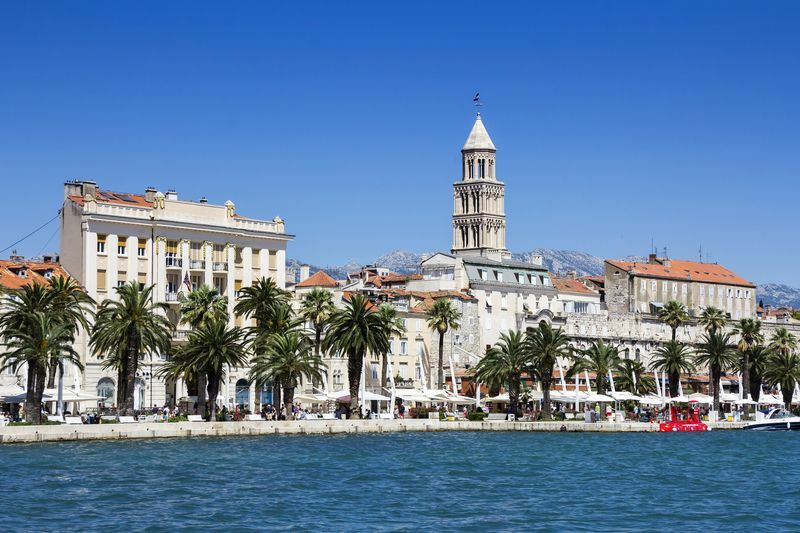 You could be in Split in just 20 minutes! Catamarans operate from the main port in Split and from the port in Kastel Stafilic, very close to Split Airport. The Split Express will be run by Split-based company Catamaran Line, and each catamaran will have a capacity for 150 passengers. A one-way ticket will cost 99 Kunas (children 7 and under travel free), and can be purchased online from Catamaran Line or at the Riva Travel agency (Obala Lazareta 3) just off the Riva in Split. By comparison, the airport transfer bus costs 40 Kuna. So the catamaran is more expensive but the journey time is less – and it’s certainly a more ‘exciting’ way of travelling in to the city. This new Split Airport catamaran is a great addition to the summer season, and we have no doubt that it will help many travellers. Note: Although we’re posting this on the 1st April, Brexit is not an April Fool’s. Sadly. Ahh, Brexit. The 29th March 2019 has been and gone and the UK is still apparently in the EU. But somehow Brexit is still inching closer and closer (what date is it now…12th April? Goodie) and no one’s any the wiser with regards to what will happen with the UK. But there is some important information for travellers considering visiting Croatia after Brexit which we’ll lay out here. Whether any of this will actually come into effect and when (April? May? Never?!) we shall just have to see. The information on this page is largely related to travellers visiting Croatia after Brexit. If you’re a British national residing in Croatia (or thinking about doing so), we’d suggest looking at the information provided on the GOV.UK website: Living in Croatia. 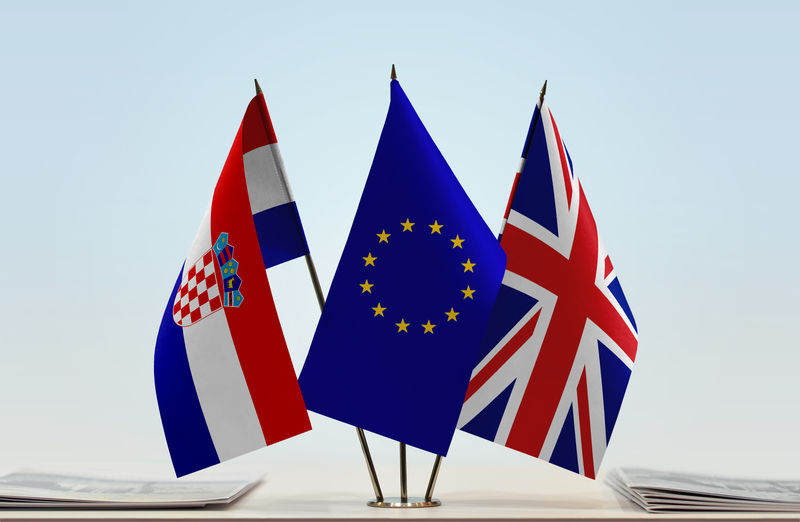 If you live in Croatia and have any concerns, you may like to contact the British Embassy in Zagreb. All of this information on this page relates to visiting Croatia as we’re an Croatian travel information website, of course. But Croatia is part of the EU, so (most of) this advice relates to visiting any other EU country as well. Much of the information also depends on whether the UK leaves the EU with or without a deal. Really, it’s a waiting game as to what will happen. Should the UK leave the EU on 12th April without a deal, EHIC cards will no longer be valid. If there is a deal, these cards are likely to still be valid over the next few years of transition. Beyond that, it is unclear whether UK citizens can use EHIC cards in Europe. If you already have an EHIC card and are visiting Croatia this year, we would advise you to still take it along. But most importantly, we would absolutely advise all travellers to arrange separate travel insurance for visiting Croatia in case any health issues arise. If the UK leaves the EU without a deal on 12th April, UK driving license holders will need to obtain an International Driving Permit (IDP) in order to drive in the EU (including Croatia). An IDP can be easily obtained from the Post Office and costs just £5.50. If you’re planning on driving in Croatia this summer, we would recommend you obtain an IDP now (given the low cost), just to be on the safe side in case of a no deal Brexit. Advice here actually differs for the EU and for Croatia – most of the EU is part of the Schengen Zone whereas Croatia (and Bulgaria, Romania and Cyprus) are not (yet). If travelling to the Schengen Zone after a possible no deal Brexit, you need to have at least 6 months left on your passport after arriving in that Schengen Zone country. That means if you currently have less than six months left on your passport, you need to renew your passport pretty much immediately. ** Since Brexit talks are still ongoing, the public will be informed about possible changes to the entry terms and travel regime in regard to British citizens via media and the MFEA website in timely fashion. Which is about as vague as Brexit itself. Essentially, keep your eyes peeled. In future, although UK passport holders won’t require a visa to visit Croatia/the EU, they will need to apply for an ETIAS visa waiver. ETIAS (European Travel Information and Authorisation System) is essentially the European version of an ESTA, the visa waiver programme for the United States. When it comes into effect (in ‘early 2021’), it can be applied for online and will cost €7. It will be valid for three years. These days, what’s a holiday without posting daily updates on Insta, Facebook, Twitter, Snapchat, Linkedin, Myspace and MSN Messenger? 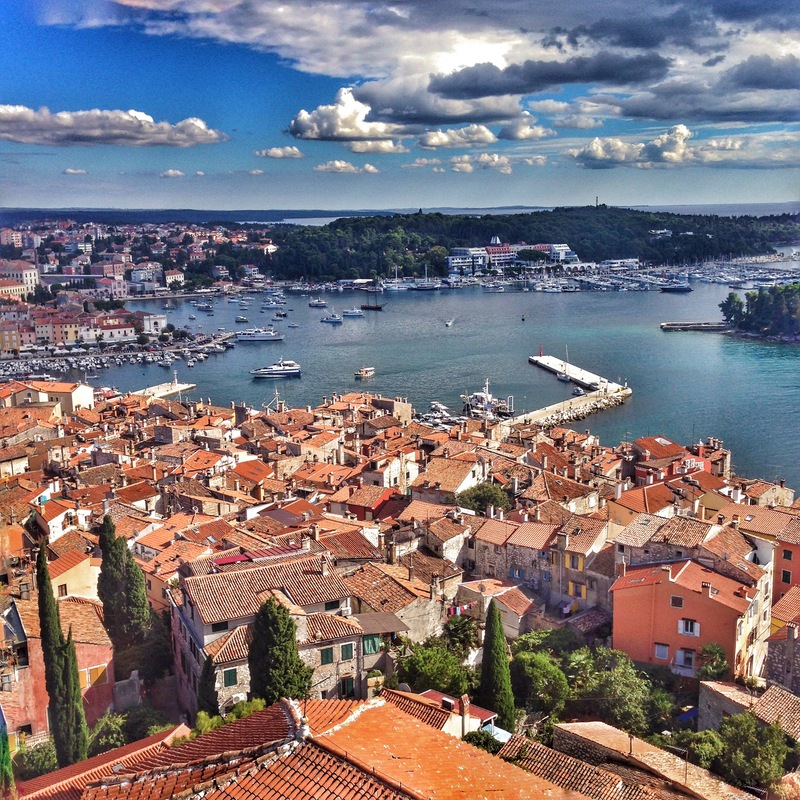 #summerhols And we all know how picturesque and photo-perfect Croatia is, right? It’s just made for sharing. Aside from a smartphone, what’s the next most important thing you need to achieve peak social media sharing? Data roaming…and lots of it. Brits been lucky enough to get ‘free’ data roaming (plus calls and texts, of course) in the EU for a couple of years now. However, this will very likely change post Brexit – with or without a deal. The current suggestion is that should the UK leave the EU with a deal, British holidaymakers could still enjoy free data roaming until the end of 2020 (or until the end of the transition period, if different). However, if the UK leaves without a deal then it is down to individual mobile operators as to whether or not they start reintroducing charges for using a phone in the EU – and they could do so almost immediately. You may like to contact your mobile phone network to see what they say with regards to this, particularly if you’re planning on visiting Croatia or the EU soon. Even if there is a no deal, it is very unlikely that flights to or from Croatia would suddenly get cancelled the day after the UK leaves the EU. So if you have already bought flights to Croatia, or are thinking about it, we would say don’t worry in this regard – and look forward to your holiday! If you have booked your flights and holiday to Croatia this summer, we’re (almost) sure that everything will be fine and that you’ll have an amazing time. But, overall, we’re recommend paying close attention to the news to a) see the actual Brexit outcome and b) in case there are any announcements effecting travellers to the EU! Share your Croatian trip report with Visit Croatia and other travellers! If you’re heading to Croatia this summer (or have already been), how would you like to share your Croatian trip report, experiences, tips and recommendations with other travellers? We’re asking you, dear travellers, to share your trip reports on Croatia with us and our readers. However long or short you’d like it to be, however many places you’d like to recommend (or perhaps you want to keep some secret! ), we’d love to hear from you! Whether you’ve enjoyed the magic of Dubrovnik, sailed to the beautiful islands such as Hvar or Vis, have partied at at a festival in Croatia, explored one of the national parks, or visited anything and everything in between, we’d certainly enjoy reading your Croatian trip report and are sure others would too. We know that many of you are also very talented photographers (we certainly see the proof of that on our Instagram feed every day!) so we’d also love to display some of your gorgeous photos along with your trip report. We’ll of course credit you fully – whether you’d like to see your full name up in lights…well, not literally…or something a bit more discreet! Drop us a line at webmaster@visit-croatia.co.uk if you’d like to submit a piece, or have any questions. Thank you for reading, and thank you if you’re considering sending in a report! Note: The only thing that we ask is that your submission please be at least 200 words in length. Of course, we very much welcome reports longer than that! https://www.visit-croatia.co.uk/wp-content/uploads/2017/07/share-your-croatian-trip-report.jpg 1288 1936 annaz https://www.visit-croatia.co.uk/wp-content/uploads/2017/09/visit-croatia-logo5.jpg annaz2017-07-27 15:07:172017-09-13 23:00:38Share your Croatian trip report with Visit Croatia and other travellers! I am spending three nights Split and three nights in Dubrovnik in late May. I was wondering if you had any suggestions about possible ferry day trips to go on while in either of these two cities? From Split, either Hvar Town or Milna on Brac (but not both on the same day!) would be most suitable locations for ferry day trips. This catamaran (which runs daily in late May) sails to both places, departing from Split quite early in the day and then making the return journey in the evening. This means you would get a full day on either Brac or Hvar. Jadrolinija do also have sailings to Hvar Town. However, in late May they don’t yet have any in the morning (with a return in the afternoon/evening) meaning you can’t use their sailings for a day trip to Hvar at this time of year. They do, however, have a slow car ferry to Stari Grad on Hvar but at two hours sailing each way, that’s quite a lot of travel time! Vis is also not suitable as an island day trip by public ferry from Split. For something closer and more ‘off the beaten track’, how about the island of Solta? Definitely possible as a day trip from Split (with Jadrolinija, sailing time 1 hour) you can find out more details about the island on the tourist office website. A tranquil place away from the crowds, it would certainly earn you brownie points as a place that not many people visit or have heard of! Travel expert Simon Calder wrote an article in the Independent on visting this island: Slavic secret Solta is steeped in history and rich in beauty. From Dubrovnik, you can visit one (or possibly two, if you time it right!) of the Elafiti islands of Sipan, Lopud and Kolocep with Jadrolinija. 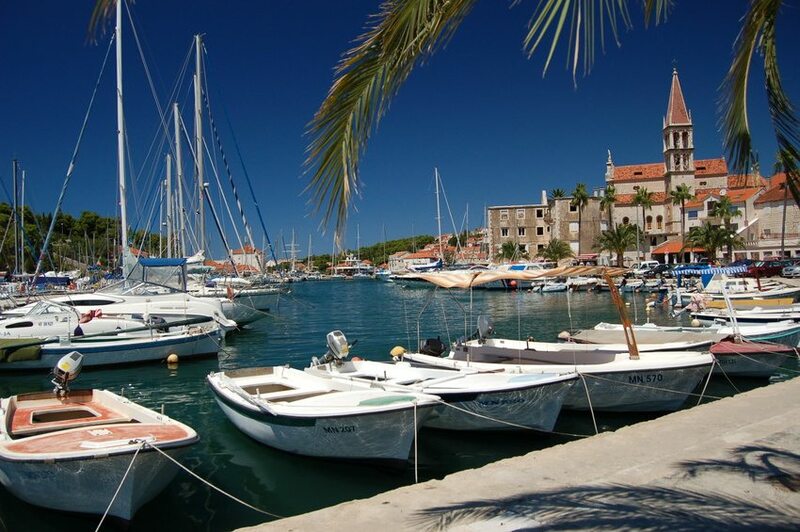 Unfortunately, there are no sailings in late May that make a day trip to the islands of Korcula or Mljet possible. Of course, visiting the small island of Lokrum *is* possible! There are frequent sailings from Dubrovnik’s Old Town – see the timetable on the official Lokrum website. Although the summer holiday crowds have gone home, many travellers come to Croatia to visit this month. That’s no surprise – there’s a lot to be said for visiting the country in late summer/early Autumn. But what’s it like visiting Croatia in September? Travellers shouldn’t have any problems in reaching Croatia in September – most airlines that operate flights from the UK and the rest of Europe continue their summer schedules well into September, if not into October too. (Some even to early November!) Take a look at our Flights to Croatia from the UK & Ireland to see the full operating dates of all routes from these two countries to Croatia. Some seasonal bus routes may have stopped operating at the end of August, although most of these of are of the kind that take (domestic) holidaymakers from inland Croatia to the coast. Check out our Bus Travel in Croatia section for help in planning bus routes. Not to sound like a broken record…but since absolute peak season is now over, accommodation should be slightly cheaper in Croatia in September. But seeing as it’s still a busy month, it’s not the time for bargains! Check out our Accommodation in Croatia section if you need some help with planning and booking where to stay. This is a big one – what’s the weather like during the ninth month of the year? Well, traditionally, summer temperatures and conditions normally do stretch out well into September if not beyond. This is one reason that many choose September as the month to visit Croatia – especially as the summer holidaymakers have gone. Sea temperatures will also be warm, given waters have been heating up for a number of months! Southern and Central Europe was undergoing something of a heatwave in early September, with temperatures reaching into the 30s Celsius. However, mid-20s C is a more normal temperature for this time of year – and it looks like this sort of weather has returned to Croatia and will stay. The Croatian Meteorological Service website is a great website to check out weather forecasts (although I’m sure you already have your own favourite weather website or app!) – but do be sure to take a look at their current sea temperatures page. Korcula is the location of the 4th Korkyra Baroque Festival, 5th to 12th September. The 20th Split Film Festival – an international festival of new film – will be taking place in Croatia’s second city from the 12th to 19th September. The 9th Gioistra Festival will take place in Porec, 9th to 11th September 2015. Over the three days of the event, around 250 participants celebrate costumes, culture and events from the 18th century. If you’re in Istria towards the end of the month, look out for the Parenzana Bike Race (25th – 27th September), a World Cycling Federation event. Or if you’re feeling active, join in on the recreational ‘race’ on the Sunday! The Food Film Festival will be held in Zagreb from 11th to 20th September, combining two wonderful items – food and film! Films with a gastronomic focus will be shown. Also in Zagreb is the 48th International Puppet Festival (14th – 19th September) and music and food event RujanFest (literally, ‘SeptemberFest’) from 11th to 20th of the month. Outlook Festival, held in Fort Punta Christo near Pula from the 2nd to 6th September concludes the festival season for Croatia for the year…so if you planned to attend one of these gatherings, you’ve kind of missed the boat! Most of the island clubs (such as in Novalja) also normally close for the season at the end of August. But if clubbing’s your kind of thing, we’d advise sticking to one of the larger cities or towns in the country – such as Zagreb, Split and Dubrovnik. Enjoy your September visit to Croatia! One of the questions we get asked a fair amount these days concerns ferries from Venice to Split, or vice versa. We assume that many travellers’ ‘end point’ for travels in Italy is Venice, and they then want to make the leap to Croatia…by going directly to Split! So if you are looking to travel from Venice to Split, what are your options? By far the quickest way is flying…of course. Volotea operate early morning flights twice a week (Monday and Thursdays until 1st October 2015), with a flight time of just one hour. You can take advantage of some pretty cheap flight deals if you book early enough. In case this helps some of you (depending on your other travel plans in Croatia), there are also flights from Venice to Dubrovnik in summer. Croatia Airlines fly on Thursdays and Sundays (flights operate in the early evening), with a flight time of 1 hour 20 minutes. There are several companies that run ferry services between Ancona and Split, and the journey time is 10/11 hours. See more details on our Travelling from Ancona to Croatia page. In peak season (July/August), some of the ferries stop off at Stari Grad on Hvar en route to Split. There are no direct public transport options from Venice to Split, so the best way is to take a train from Venice to Trieste (journey time approximately 2 hours; many trains per day – again, see timetables at Trenitalia) and then a bus from here to Split. There’s a daily bus that departs at Trieste at 1.45pm and arrives in Split at 10.30pm. Some days, there’s also an overnight bus that gets into Split just before 4am. Both of these buses are operated by Autotrans – you can look up full details on their website, which also offers online ticket booking. You can of course rent a car in Venice and drive all the way to Split. However, we’d recommend against trying to do this as a one-way rental – one-way car hire across a border in Europe is ridiculously expensive! If you do fancy driving most of the way, we would recommend taking a bus (or possibly catamaran) into Croatia and then picking up your hire car here. One-way car hire within Croatia is certainly possible and not all that more expensive (if at all). 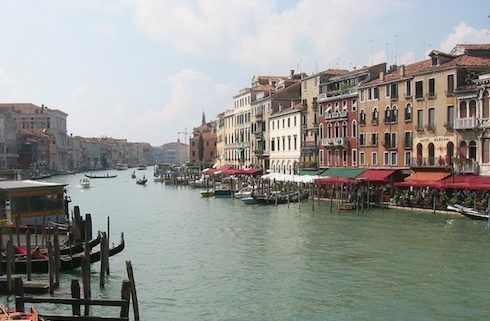 Take a look at our Travelling from Venice to Croatia page for details of buses. We’d suggest taking a bus to Pula to pick up a car as that’s the nearest large town; however, you can also find car hire offices in Porec and Rovinj. If you do end up driving from Venice to Split (perhaps you’re returning to Italy after Croatia), the distance is about 650km. Factoring in what may be a busy border crossing (Slovenia – Croatia) in summer we wouldn’t recommend you attempt the journey in one day! Note: Don’t forget that a vignette is need to drive on motorways in Slovenia. Pula to Split is around a 5-6 hour drive if you take the inland motorway route; if you drive the scenic coastal route, the journey will be longer. Errr…don’t bother! There are most definitely no direct trains between the two cities; if you did attempt the journey, you’d find yourself having to travel via Zagreb (which, geographically, is quite a detour). There’s also not even any direct trains from Venice to Zagreb, adding to the pointlessness of this option. Don’t forget that catamarans from Venice do operate to locations in Istria – Pula, Rovinj and Porec. There are also several bus options from Venice to places in Istria too. 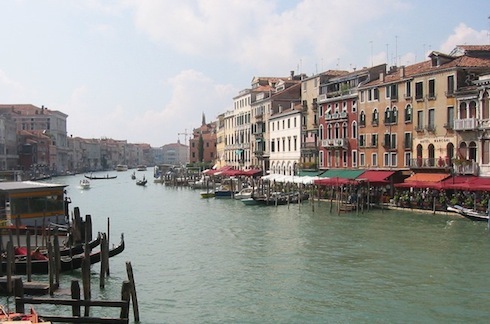 Take a look at our Travelling from Venice to Croatia page for full details of these. Are you planning on travelling from Zagreb to Split (or vice versa) this summer, taking in Croatia’s two largest cities? Read our guide below for how best to travel between the two! There are several trains per day between Zagreb and Split, and journey time is either 6 hours or 8 hours (the latter being an overnight train). Daytime trains take around six hours, and a one-way, second-class ticket costs 208 Kunas. There’s a train that departs early in the morning, and another departing mid-afternoon. The 8-hour train has a couchettes for sleeping – if that’s your kind of thing – and there’s also a special bicycle car…plus space to transport vehicles! The cost of this train is 190 Kunas for a regular, single-ticket journey in second class. Note: During summer, twice a week (Tuesdays and Fridays) these trains actually start in Budapest – so if you’re travelling from Hungary, you can make it direct all the way to the Croatian coast (well, as long as it’s Split!). Journey time is 14 hours. There are many buses per day between Zagreb and Split…as befitting a route connecting Croatia’s two largest cities! It’s best to look up timetables on the Zagreb Bus Terminal website. You can work out journey time length on the Zagreb Bus Terminal website; it also shows how many stops (and where) will be made. This will give you an idea of which are the faster buses! Journey times vary between 5 hours and about 7 and a half hours. There are also daily flights, year-round, between these two cities operated by Croatia Airlines. With a flight time of only 45 minutes and with cheap tickets available if you book early enough, this is obviously a very fast way of travelling that can actually be cheaper than expected. You do, of course, have to factor in travel between each city centre and airport but with regular transfer buses at both ends that’s easy enough. 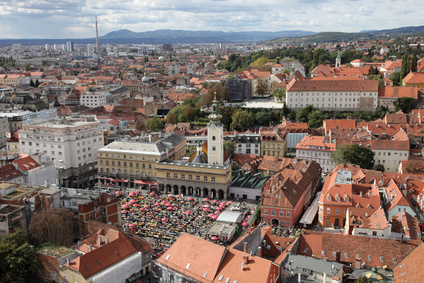 Check out our Zagreb Public Transport and Getting to and from Split Airport pages for help. If you’ve hired a car for your stay in Croatia, driving from Zagreb to Split is also very easy these days due to the A1 motorway. The journey time can be as quick as 4 hours, assuming no bad traffic situations. The motorway is of course tolled so do factor this in – you’ll pick up a ticket when entering the start of the motorway just outside Zagreb, and then need to pay when you exit at Dugopolje outside Split. If you’re in a standard car, this will cost 174 Kunas (2015 price) – prices of other vehicles can be seen here: A1 motorway toll prices. Question: Myself and a friend are arriving in Dubrovnik and need to travel to Novalja. Is there any direct transport from Dubrovnik to Novalja? If not, what’s the easiest, shortest and cheapest way to get there? Train? Bus? Answer: Some of you who are heading to Novalja this summer for one of the many festivals held there may have booked flights to Dubrovnik. It’s not the closest airport to Novalja on the island of Pag (Zadar is; Split is second), but there’s certainly plenty of flights from the UK and Europe to Dubrovnik and you may well have found it cheapest to fly there. Travel Dubrovnik to Zadar by bus (8 buses per day, with most in the morning; journey time 6-7 hours) and then Zadar to Novalja by bus (3 buses per day; journey time 2 hours). Look up timetables on the Zadar Bus Terminal website. The approximate one-way cost is 280 Kunas (200 Kunas Dubrovnik – Zadar; 80 Kunas Zadar – Novalja). Travel Dubrovnik to Split by bus (many per day; journey time 4.5 hours) and then Split to Novalja by bus (one per day; journey time 5 hours). Look up timetables on the Split Bus Terminal website. The approximate one-way cost is 340 Kunas (120 Kunas Dubrovnik – Split; 220 Kunas Split – Novalja). TIP: If you’re keen to secure a seat on the Split – Novalja bus, tickets can be bought online (with a 5% discount!) on the Autotrans website. Technically you could also do Dubrovnik – Split (4.5 hours); Split – Zadar (lots of buses on this route; 2.5-3 hours; approx. 95 Kunas) and Zadar – Novalja (2 hours) but then that does involve two stops! 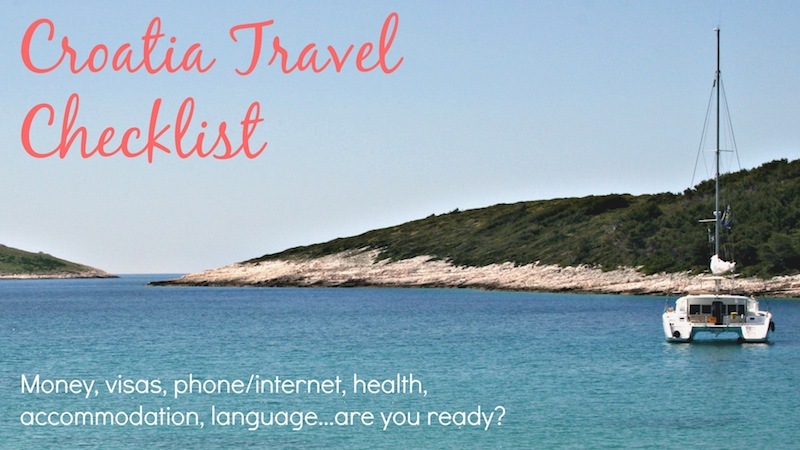 Croatia Travel Checklist – are you ready? Are you travelling to Croatia this summer? Here’s our guide to some things you might like to consider before you go! Do I need a visa for Croatia? Citizens of EU countries, the U.S., Canada, Australia and New Zealand DON’T need a visa to visit Croatia. There are also many other countries whose citizens don’t need a visa for Croatia – we won’t list them all here, so please do check against the information on Croatian Ministry of Foreign Affairs website. It is also possible to visit Croatia using a double- or multiple-entry Schengen visa – which is useful if you’re doing a fair amount of travelling around Europe this summer. Again, please check the information on the above website. What if I do need a visa?! If you need a visa for Croatia, please contact the Croatian Embassy in the country you’re based in – or the Embassy as advised in this list: Diplomatic Missions and Consular Offices of Croatia. If you want to obtain a Schengen visa, you would obviously have to do this at the Embassy of a Schengen area country. Normally this would be the country in which you are spending the majority of your time when on your holiday. What about money – what’s the currency in Croatia? The currency is the Kuna. Plural in Croatian is Kune, but it’s fine to says Kunas. On signs, the currency is abbreviated to Kn; in foreign exchange places (outside of Croatia) it will be listed as HRK. The currency in Croatia is not the Euro. Euros are not accepted. Croatia will not be joining the Euro anytime soon. See more on our Money in Croatia section. Should I obtain Kunas before I go? Otherwise, there are many places to exchange money – bureau de change and banks – practically everywhere. Simply take along your home currency (Pounds, Euros, Dollars) to Croatia if you’re planning on changing money in the country. Avoid changing money in hotels as exchange rates are normally pretty bad. You can also obtain Kunas before you go to Croatia if you like – for example, in the UK many high street banks, Travelex.co.uk , the Post Office and M&S Money all sell Kunas these days. However, the exchange rate that you get will be a bit better in Croatia than in your home country. How much money should I take to Croatia? For those that do prefer taking cash on holiday, this is the $64,000 question! (Although, please don’t actually take $64,000 along with you.) It’s difficult to answer because – what are your typical spending habits? Do you like to splurge for every meal and on drinks? Or will you mainly be having low-key meals? Will you be signing up for daily organised excursions? Or relying on local buses and ferries to get you to other places? You can save money by buying your own food/snacks at markets and supermarkets – which are pretty cheap – ideal for a picnic-style lunch; drugstores/pharmacies usually stock a small range of snacks as well. What cards are accepted in Croatia? Visa and Mastercard are readily accepted in Croatia. However, you may find that some places – such as smaller, family-run restaurants – don’t accept cards at all, so do always have some cash to hand! What electrical travel adapters do I need? Croatia uses the standard European 2-pin electric plug. It’s best to bring one (or a few!) along with you – don’t rely on buying them in Croatia! (Technically, they’re available, but you don’t want to spend all day hunting around for one.) Or, better still, take one and a 4-way plug adapter – so you can charge a few things at once! As with travelling anywhere, you really should arrange travel insurance before your visit to Croatia. Shop around for the best deal. As Croatia is now in the EU, the European Health Insurance Card (EHIC) is recommended for EU citizens as this will help you get state medical healthcare for free/reduced rates. An EHIC card is free – apply for one (or renew one) online. Wifi is readily available in Croatia these days – almost all accommodation places offer it (normally for free), as do many cafes/restaurants. You may also find free hotspots in some towns and cities. Why do you need a guidebook when you have Visit Croatia?! Check out our Books on Croatia section to see what’s available. We’ll assume many of you have already sorted out your accommodation for Croatia. If not, head to our Accommodation section! If you’re planning on leaving until you get to Croatia – wanting to go the ‘private accommodation’ route – that’s fine too. However, because summer is peak season, availability is low – though you should still be able to find a bed for the night somewhere. If you’re not that bothered about accommodation amenities or how basic a place is (although everywhere should be clean and safe – don’t worry about that kind of thing), that’s fine. If you have specific requirements/wants, or wouldn’t be best pleased to stay somewhere basic and with a 80s-style bathroom, then think about booking ahead! If you ever get stuck looking for accommodation, head to the local tourist office. They should be able to help you find somewhere. Should I learn some Croatian before I go? It wouldn’t hurt to learn a few basic phrases – see our Croatian for Travellers guide and below – but don’t worry too much about learning Croatian! Hi! – Bok! (bok!) Note: quite informal – use one of the above, normally! https://www.visit-croatia.co.uk/wp-content/uploads/2015/06/croatia-travel-checklist-3.jpg 450 800 annaz https://www.visit-croatia.co.uk/wp-content/uploads/2017/09/visit-croatia-logo5.jpg annaz2015-06-02 15:30:582015-06-02 15:30:58Croatia Travel Checklist - are you ready? Some of you who are perhaps yet to take your summer hols, or are looking for a late summer trip to ease yourself back into autumn ways, may be thinking of visiting Croatia in September. You may be pleased to learn that September is considered the best month to visit amongst those in the know – the weather is still good (yes, you will – most probably – still be able to swim in the sea! ), the high season crowds will have departed for home by the end of August, but everything – tourist-related – is still very much open. However, you probably have a whole list of questions – what’s there to do? Where shall we go? We’re here to help you with these questions and more if you’re considering visiting Croatia in September! First things first. 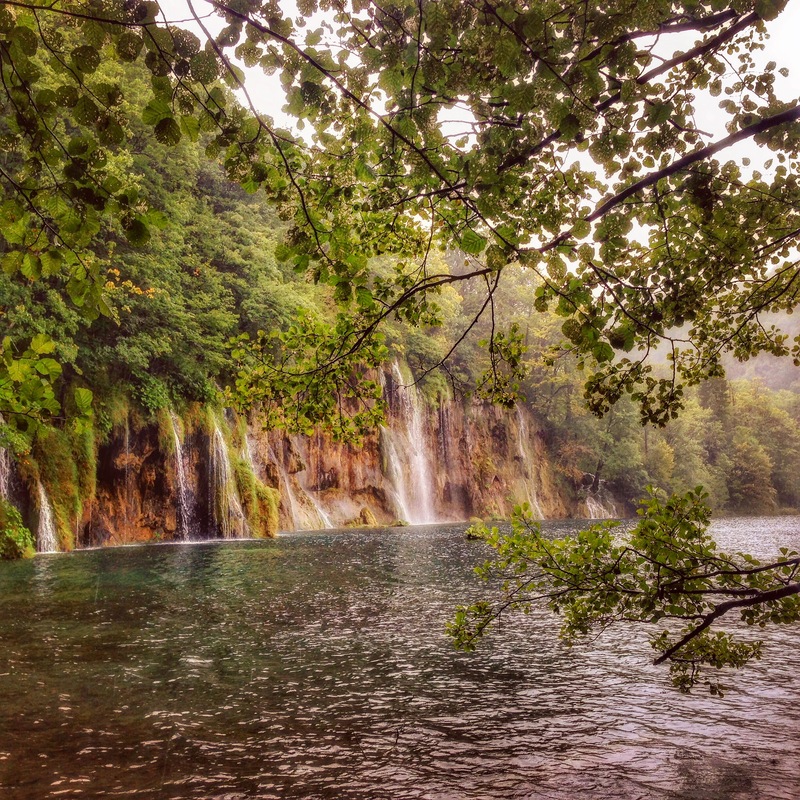 This is something we always get asked – is the weather in Croatia still good in September? Yes, very much so. It may come as no surprise really – as a Mediterranean country, the summer weather continues long into September. The last few years have seen very hot summers in Croatia, and this glorious weather definitely hung around in the ninth month of the year. (In fact, even into early October too!) This year there’s also been a rather hot summer in Croatia with temperatures in so many places reaching the very high 30s celsius. In fact, during July, temperatures for practically the entire country were classified as being “very warm” or “extremely warm” (poor Vis was the only place in Croatia to simply be “warm”), whilst most of the country was considered to be either “dry” or “very dry”. All in all, we expect the weather in Croatia to be great this September! The Croatian Meteorological Society has plenty of forecasts in English – at the moment, they obviously don’t show much data for September, but take a look at their seven-day forecasts a little closer to the time. The sea off the coast of Croatia – having had all summer to warm up – will be great, temperature-wise, in September. Yesterday, for example, temperatures reached around 23/24C for many places, with the sea a few degrees colder in the north of the coast. Disclaimer: Yes, of course, the weather everywhere is starting to turn a little crazy. So don’t hold it against us if conditions in Croatia inexplicably turn winter-y during September. That’s definitely not supposed to happen. And it’s very, very unlikely to happen. But if anything insanely crazy, weather-wise, happens…don’t blame us! What’s on in Croatia in September? For the less dance music type events, there’s the Split Film Festival on from the 14th to the 21st September. The historical festival Gioistra – now in its seventh year – will be held in Porec from 13th to 15th September, with assorted costumes, revelry, sports, street entertainers and products on sale, all re-enacting 18th century times. The second Korkrya Baroque Festival is an international music festival on the island of Korcula, being held from 7th to 13th September. Zagreb hosts both the general entertainment festival RujanFest (literally, ‘SeptemberFest’) from the 13th to the 22nd September, as well as the 46th edition of the International Puppet Theatre Festival (9th to 14th September). For those more keen on sports events, Croatia will host the Davis Cup tie against Great Britain in Umag (which means clay!) on the weekend of 13th to 15th September. And yes, Wimbledon champ Andy Murray is expected to play. Tickets can be bought on the ticket portal Eventim.hr. Be sure to pop into the tourist office of wherever you are to ask for events taking place locally! Where should I go in Croatia in September? As we’ve covered so far, the weather will be great in September, so it’s hard not to pick a location on the coast. Dubrovnik should be as busy it always is, and there’s certainly a large number of cruise ships scheduled to dock during that month, bringing thousands of (day trip) passengers at a time. Split has had a great season so far, so it wouldn’t be any surprise to see this place as bustling as it has been. (Seeing as it’s Croatia’s second largest city, it is relatively lively all year round!) Some of the more popular islands, such as Brac and Hvar, and other popular locations on the coast (the Makarska Riviera) are still likely to receive a good number of visitors, even whilst the season starts to wind down. If you’re after something a little quieter, perhaps consider the most outlying of all the larger Croatian islands – Vis. As a quieter and slightly mystical destination any time of year, we think this place would be divine in September. 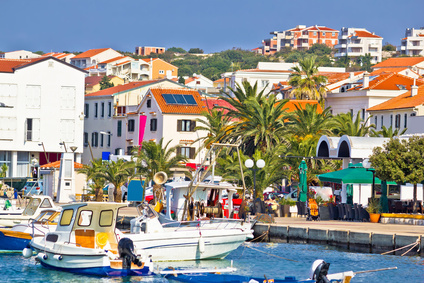 Other islands to check out include those in the Kvarner bay such as Krk, Cres, Losinj or Rab, all of which are perhaps not as well known amongst non-Continental European visitors. Istria is of course one of the most popular destinations in the whole of Croatia, with delights such as Porec, Rovinj and Pula all located here. The county has suffered a slight fall in visitor numbers this year, but will still see good numbers overall. If you’d like to visit, why not consider something like a foodie or activity-based holiday – two things the region does very well! Check out Istria Tourist Board’s guides to gastronomy and sport. From a logistical point of view, almost all flights from the UK to Croatia still operate in September – and well into October too. The one exception to this is Ryanair’s flights from London Stansted to Rijeka Airport stopping at the end of August. See our Flights to Croatia page for details of all routes to Croatia from the UK. Do note that in almost all cases, ferry schedules will still be running to summer timetables until the end of September. Certainly, almost all of Jadrolinija‘s local routes remain the same until the end of September, as does their twice-a-week coastal route that runs Rijeka – Split – Stari Grad (Hvar) – Korcula – Mljet – Dubrovnik and vice versa. The exception lies with some of their international sailings (to Italy) that reduce in frequency in September, and again further in October. Venezia Lines‘ sailings between Istria and Venice will only operate from Porec and Rovinj during September. Or check out Adriagate – they offer last minute discounts on accommodation for destinations all over Croatia! All in all, if you’re visiting Croatia next month, we hope you enjoy your stay! Why not drop us a line on email, Twitter or Facebook to let us know how it went – we’d love to hear from you!